In short: utilities cannot continue to operate as they have been. Utilities need a better way to do business. GIS can help. GIS uses utility data to show patterns and reveal insights. It answers questions—where will infrastructure fail?—so operators can make better plans for the future. 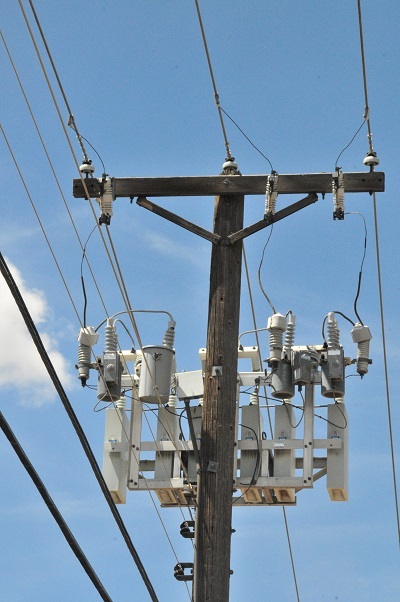 Utilities use GIS to organize and share vital information, such as the exact location where tree limbs are rubbing electrical wires or where insulators are cracked. GIS shows field crews where to find broken or damaged assets. All of this, GIS makes available in the simplest and most logical way possible: on a map. A map makes it easier than ever to get a clear picture of what’s going on. Now GIS maps are on the web and in the cloud. This means that we have figuratively peeled map sheets off of office walls and placed them into people’s hands. GIS maps allow real-time data to flow to decision makers as well as field crews and customers—anyone with a computer, tablet, or smartphone. What does this mean in terms of all that smart grid data? It means, utilities can take that data and map it. But, not so fast. Many utilities see GIS as a way to improve engineering maps. Or maybe GIS helps represent electric equipment digitally for some particular application. Rarely does a utility use GIS to guide business. It turns out that utilities can use GIS in almost every part of the utility business, from power plants to smart meters. GIS is really good at helping utilities sort out things like what new materials are needed, how to satisfy customers, and where to build a wind farm. Why? GIS can answer tough questions: Where is the network most vulnerable? Where are we spending a lot of money on maintenance? Where are smart meters not reporting and why? GIS is not just about mapping, it’s about discovery. It can provide a backbone for the self-healing grid and customer analytics. GIS can help utilities discover new things related to investments and risks that no other technology can provide. Using GIS, utilities can perform location-based spatial and network analysis, and then visualize the results on a map. Thus, utilities discover hidden risks including potential environmental problems, and are able to shore up vulnerable areas. To meet the big problems of today, utilities will have to be creative. GIS unleashes that creativity—opening up utilities for new maps and apps and ways of sharing information. Many utilities that have built their own GIS have a wonderful resource just waiting to help transform them from the utility of today to the utility of the future.